28th STOCKHOLM INTERNATIONAL FILM FESTIVAL. DAY 3, NOV 10th 2017. 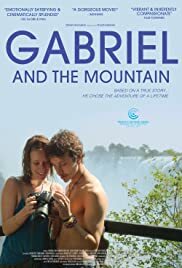 "Gabriel and the Mountain" (Gabriel e a montanha) (2017) had its Swedish premiere at the festival on Nov 9th.